We were able to get hold of the 27-minute Russian scientific documentary produced for the Russian TV channel “Russia 2″ last month and called “Супер Мозг” = “Super Brain”. 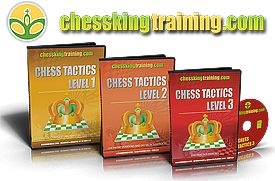 The game of chess is used to show how the brain works. 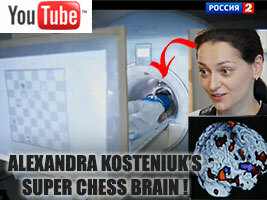 The video features 12th Women’s World Chess Champion and Chess Queen™ Alexandra Kosteniuk, who goes through several scientific experiments, including a brain tomography while solving a chess problem. 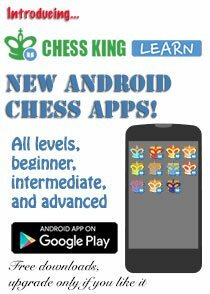 Experiments are also conducted with male GM Alexander Riazantsev to see if there are any differences between men’s and women’s brains. There are differences. 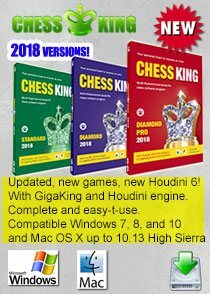 The video is in Russian, note that you can use the “subtitles” feature of YouTube, it’s wonderful, the subtitles are translated on the fly, mouse over the arrow in the bottom right of the player and then choose the CC option to see the captions menu. Once you do, you will see the default language and the ability to “translated” the captions. Once you click on “translate,” you will be able to choose from 35 different languages. 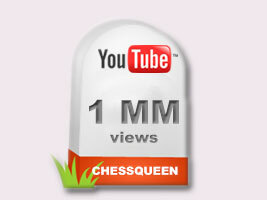 I’m glad to report that my YouTube channel “ChessQueen” passed a million views yesterday. Thanks for watching my videos, for giving “thumbs up” if you like them, for writing nice comments both to the videos and to my channel, I sincerely appreciate it. 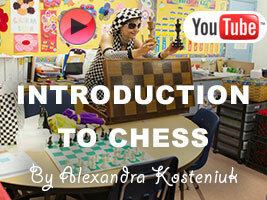 I will do my best to post many new chess videos, I actually have several in the pipeline so subscribe to my YouTube Channel and you will be notified of new videos. Hello everybody! 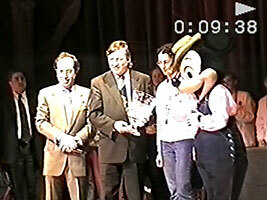 I found in my files an old video from 1998, 14 years ago, I’m sure you will enjoy it! 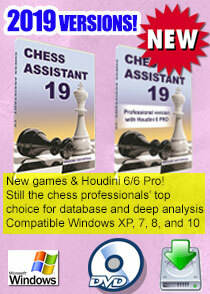 It was filmed in France at the World Rapid Chess Championship. 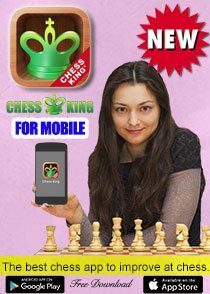 Anatoly Karpov, the 12th World Chess Champion of history is holding my trophy. 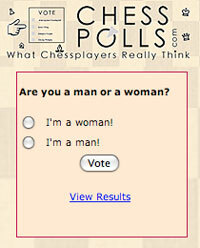 10 years later, I will also become the 12th Women’s World Chess Champion of history. 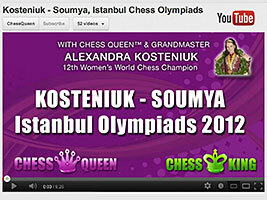 Watch the 2 minutes interview of Chess Queen Alexandra Kosteniuk at the 2011 Sport Accord Mind Sport Games. 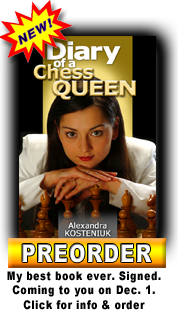 Alexandra was both the ambassador of this prestigious event and a winner of a Gold medal (in the women’s Rapid event) and a bronze medal (in the women’s Blindfold event).